My client bought a brand new $35,000 boat that never returned to the dock under its own power during the time that he owned it. Most state Lemon Laws do not cover boats but there is a Federal law that does. Michigan is one of the leading states in the nation for boat ownership. Not only does the state touch four of the five Great Lakes, it is chock full of watery wonder inland. 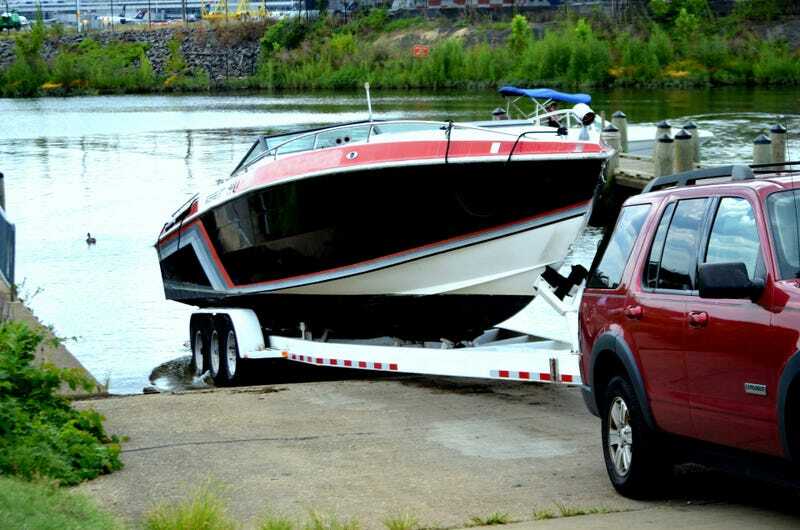 As a result, boat dealers are quite common here and many people have boats tucked into their garages at their suburban homes and holiday weekends see the roads packed with boats being trailered to vacation spots. Despite this, like most other states, our Lemon Law does not protect boat buyers. My client – we'll call him Joe – had grown up in a household which always had boats and had owned a few as an adult. He finally decided to spring for a brand new one and dropped a little over $35,000 in the process. Like many boats out there, the engine was made by one manufacturer and the rest of the boat was made by another. He took delivery at a dealer not far from his house. He lived on a lake and planned on using the boat there. The first time he put it in the water he tooled around a little bit and the engine died. He couldn't get it restarted so he flagged down a neighbor who tossed him a line and towed him back to where he could pull the boat from the water. He returned it to the dealer who assured him it was a minor problem which could be fixed. A few days later, the cycle repeated: Boat in water – engine dies – towed to shore – dealer "repairs" – boat returned to Joe. Lather, rinse, repeat. In total, it happened four times. Recognizing that this loop could go on infinitely, Joe called the engine manufacturer who sent a rep to assist the dealer with the repair. They assured him that this repair – the fifth – would take. It didn't. He called back and asked for further help. The engine manufacturer blamed the boat company. The boat company blamed the engine company. He asked the dealer to buy the boat back and the dealer refused; they said he should complain to the manufacturer. Joe called and asked me about the Lemon Law. I had to explain to Joe that Michigan's Lemon Law does not apply to boats. But, there is a law which does cover boats and other large consumer products which are not automobiles. The Magnuson-Moss Warranty Act covers any consumer goods sold with a warranty. It is a Federal Law and, therefore, can be invoked in any state. In many respects it is like the lemon law in that it requires the manufacturer to repair a defective product under warranty and, should that not be possible, the manufacturer is liable for damages and can be ordered by a court to buy back the product or replace it. One major difference between the Lemon Law and the Magnuson Moss Warranty Act is that most state lemon laws specify a bright line number of repair attempts at which point a vehicle becomes a lemon. In Michigan, that number is four. The Magnuson Moss Warranty Act simply states that the product must be subject to a "reasonable" number of repair attempts. Arguably, that could be less than four and I have seen manufacturers say it could be more than four for a complex product. We argued that in Joe's case five was certainly enough, especially considering the safety issue. Each time his boat stalled, it stranded him in the middle of a lake. True, he did manage to get help each time he was stranded but who is to say that would always be the case? And, what if Joe wanted to take his boat out onto Lake Michigan? He would have been insane to try that in this boat. We filed suit against the seller, the boat manufacturer and the engine manufacturer. Shortly after, they settled. They agreed to buy Joe's boat back and pay his attorney's fees and court costs – another item which can be recovered under the Magnuson Moss Warranty Act. What was wrong with Joe's boat? Who knows? It is not necessary for the consumer to diagnose or explain what is wrong with the product – it is enough if the consumer can prove that the product is defective and was not cured within a reasonable number of repair attempts.And in Joe's case, they never once claimed there was nothing wrong with the boat. Every time he brought it in they threw new and different parts at the problem. As noted, the Magnuson Moss Warranty Act covers any consumer goods sold with a warranty. This means that there is hope for buyers of defective recreational vehicles, personal water craft, boats, motorcycles, and so on, regardless of what your state's Lemon Law does or does not cover. The law even covers automobiles for those occasions where the Lemon Law might not offer coverage or simply to give overlapping coverage for that extra oomph in filing suit. There are some nuances to this law which I cannot possibly shoehorn into this space so I would recommend you do a little research and maybe talk with a local attorney if you have questions. The key here is that while the typical Lemon Law covers only automobiles there is a "Lemon Law" for everything else: the Magnuson Moss Warranty Act.